In cutting edge fashion and design FENDI is one of the most bold fashion icons out there. From featured statement pieces, to clean contemporary lines, FENDI has taken over the fashion runway in more ways than one. This season FENDI has made one thing clear. It is not afraid to venture out into color. 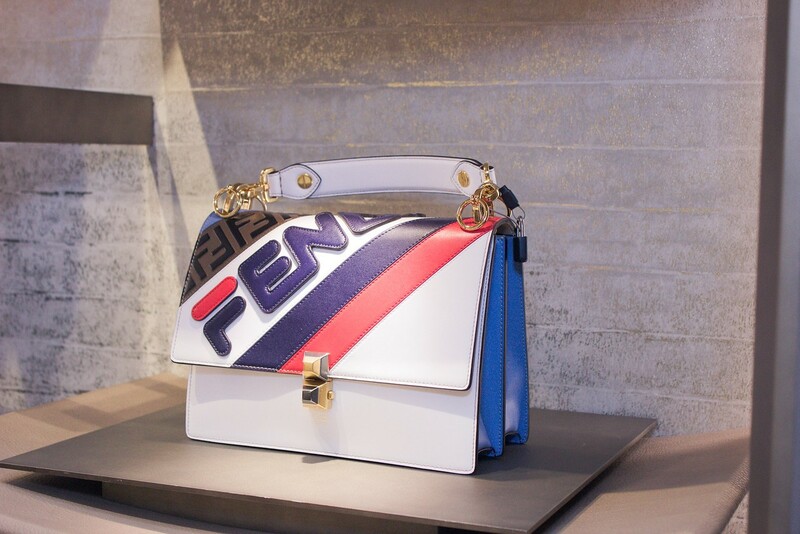 FENDI recently showcased one of its new collections at Milan fashion week. It unveiled on the runway that it will be partnered up with one of the most well-known sports brand’s out there, FILA. They combined the bold colors of FILA and the beautiful designs of FENDI to create FENDI MANIA. 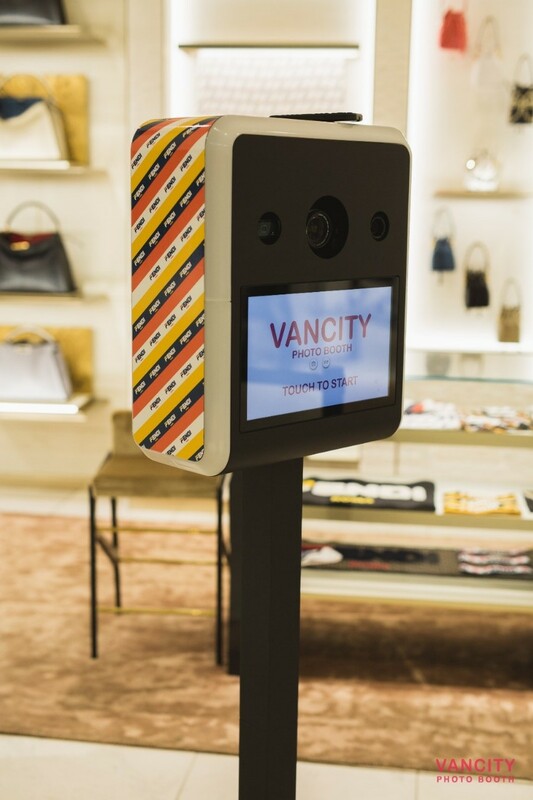 Recently Vancity Photo Booth partnered with FENDI to create a photo activation for their launch party hosted in famous Vancouver’s Holt Renfrew. 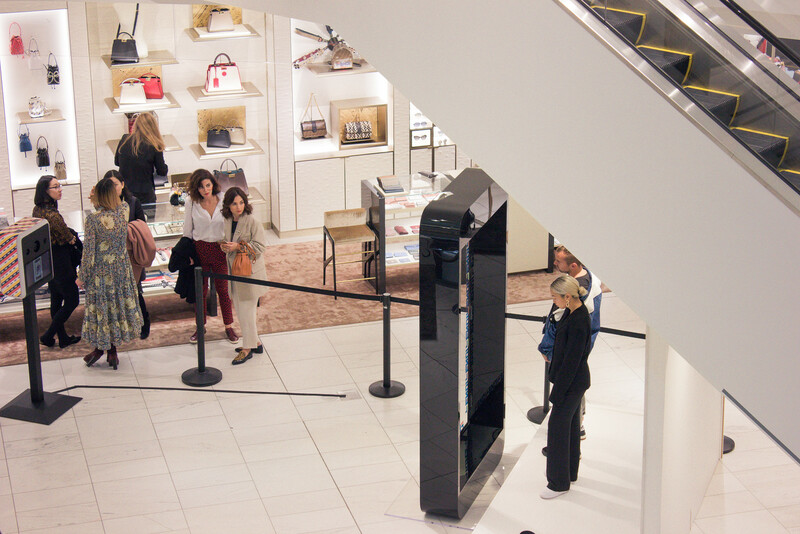 Now you may wonder why a photo activation was used for a launch party? Big brands such as FENDI are looking for companies to think outside the box to create hussle amongst the crowds. 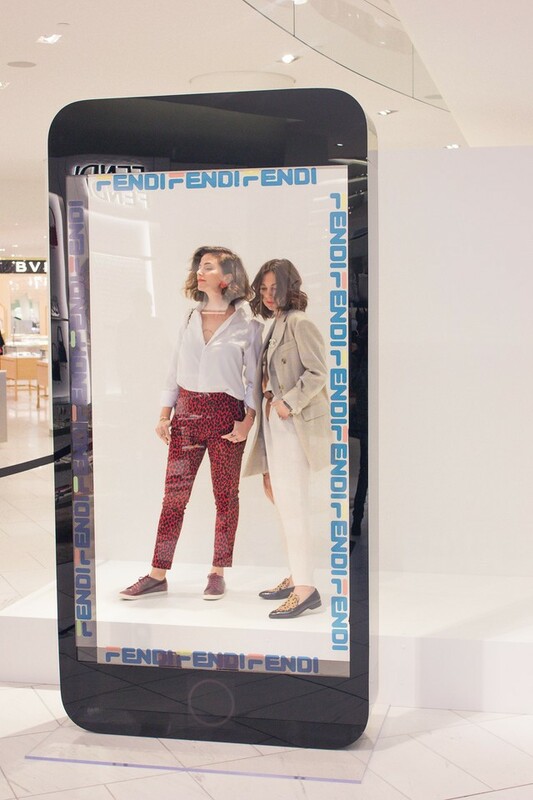 Let’s take a closer look at how Vancity Photo Booth captured the essence of FENDI with a photo activation. 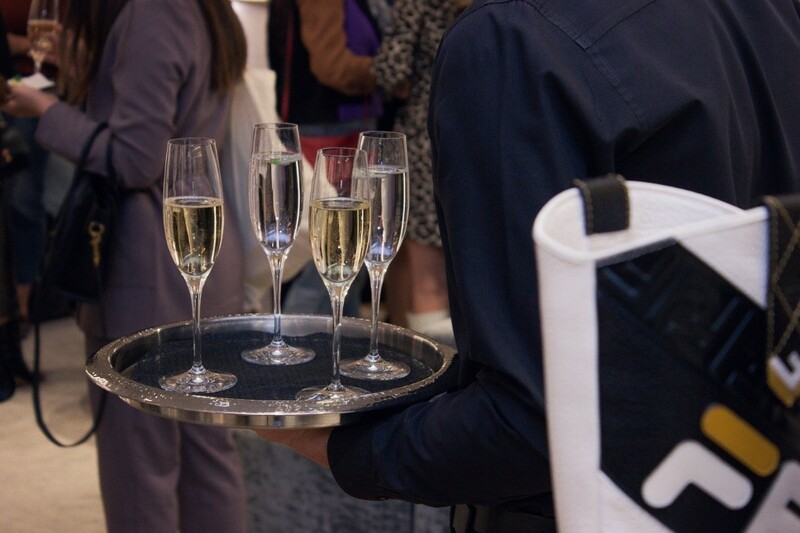 As mentioned previously, FENDI had done many of these product launch parties around the globe, our team knew we wanted to do something completely different but still follow the marketing guidelines that FENDI had presented us with. We did our research and found that many countries such as Milan, and London used a large iPhone as a prop for the models to use. We took that idea and brought it to life. The design team at Vancity Photo Booth custom designed, and created a 8ft by 4ft wide life size iPhone prop. We used high grade acrylic plastic to make the shell and glass for the phone. We then took the FENDI Fila collaborated logo and put decals all around the glass. The next step was to design a backdrop and stage in one setup. We designed an all white stage and backdrop made from wood to showcase the iPhone prop. We wanted the prop to be the focal point of the stage, so we kept everything around it minimal. The overall project took over 100 hours to complete. The next crucial step was to find the perfect way to integrate a photo booth for the photo activation. We wanted to keep things traditional by using a photo booth that everyone would love and use. 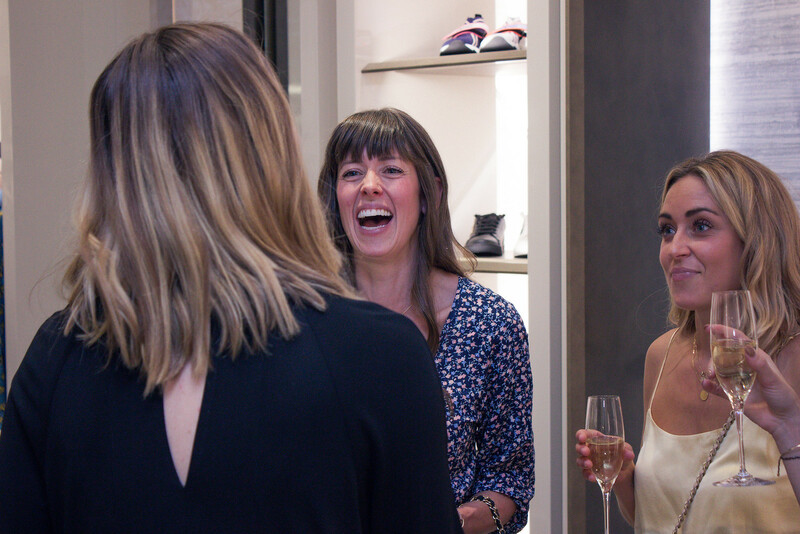 Our goal was to make the entire experience as interactive and memorable as possible. So naturally including a photo booth was a must. Once the guests entered the stage, the photo booth captured their photos and the FENDI branding would appear on the template. Not only did the guests have the option to take still photos, but could choose from GIFs, animations, digital props and so much more. We integrated the custom hashtags and, included a customer capture data system as well. FENDI knew it wanted the emails captures so it could reach out to the customers long after the event was over. Our photo booths are great for photo activations like the FENDI one because our photo booths are marketing oriented. We brand the entire booth from vinyl wrap, custom start up screens, integrated hashtags, customer capture, and social media integration. 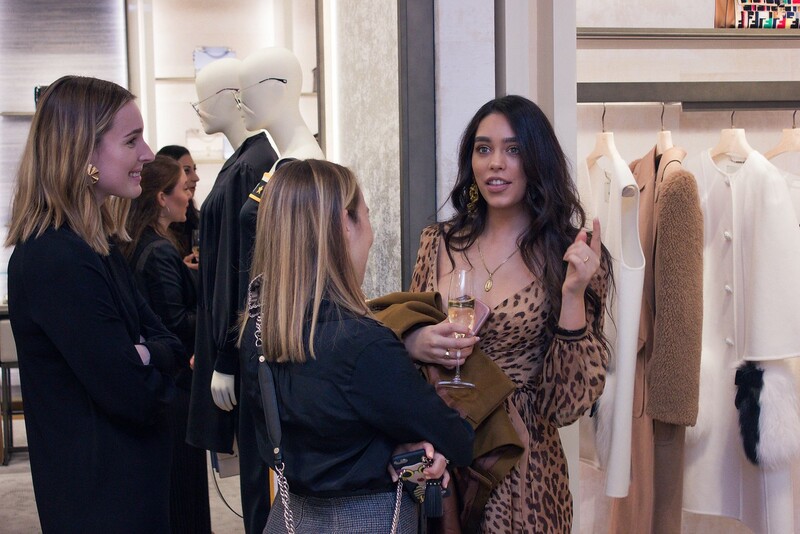 The guests attending the event were able to share their images direct from the booth, allowing for organic social media content, but also were able to showcase the FENDI product launch party. Another level of spice we wanted to add to the event was to have roaming photographers capture all the details of the event. 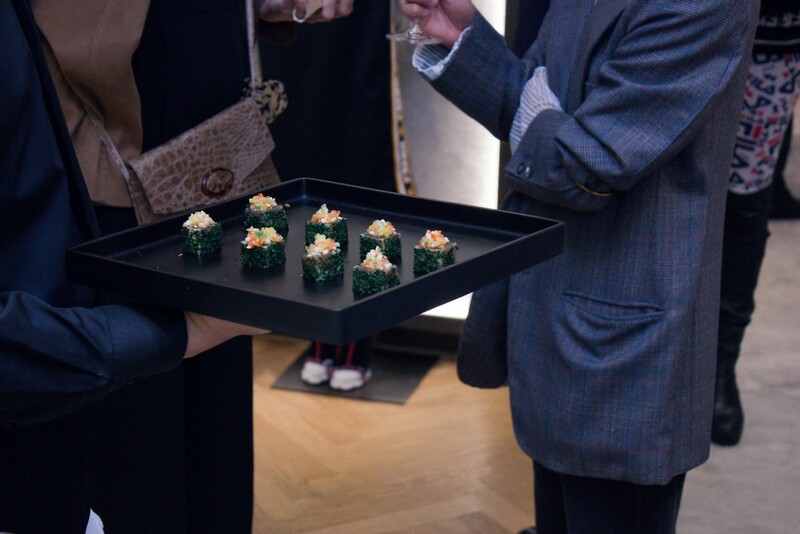 The lead photographers went around taking stunning photographs of the guests, venue, food and drinks, and of course the showcased products. We wanted to make sure we captured the entire essence of the collaboration from the mannequins, to the clothing and everything in between. Once the event was over, the Vancity Photo Booth team switched the traditional photo booth for a more user-friendly selfie booth. 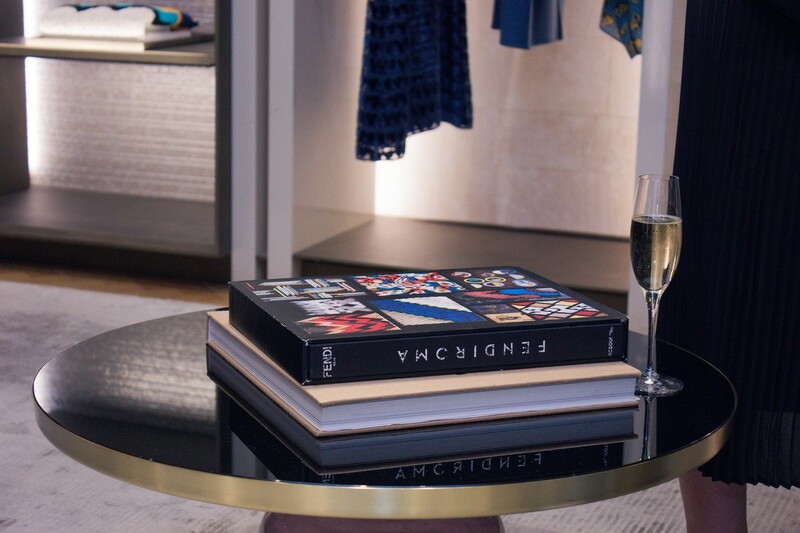 FENDI wanted to make sure the guests at Holt Renfrew were able to take advantage of the entire setup so that the collaboration products could be showcased throughout the week. So we opted to setup the selfie booth to include a disclaimer and full customer capture integration as well as full branding from custom start up screens to custom text email hooks. We provide 24/7 tech support around the clock, so the customer does not have to worry about a thing. We monitor everything while away from the venue. Overall the event was a success. Not only was FENDI pleased with the outcome, but all the guests were raving about how amazing everything came together. 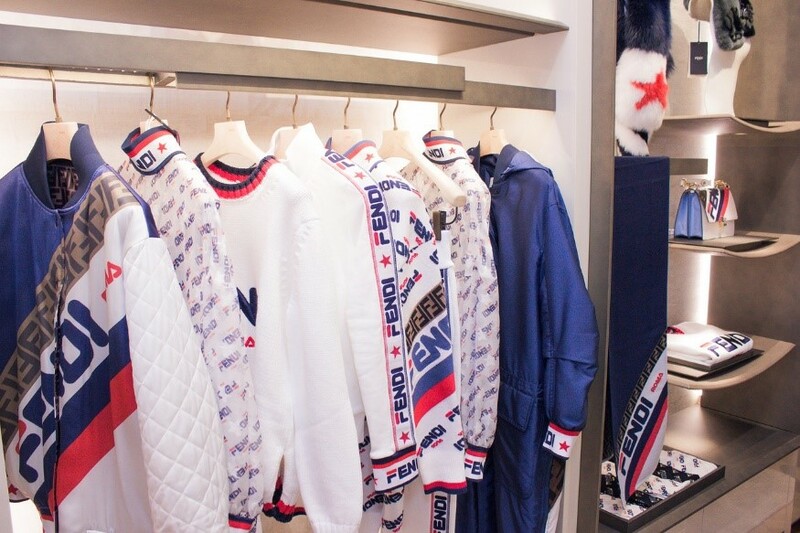 Using the photo booth was the perfect way to showcase the beautiful collaboration of FENDI and Fila. 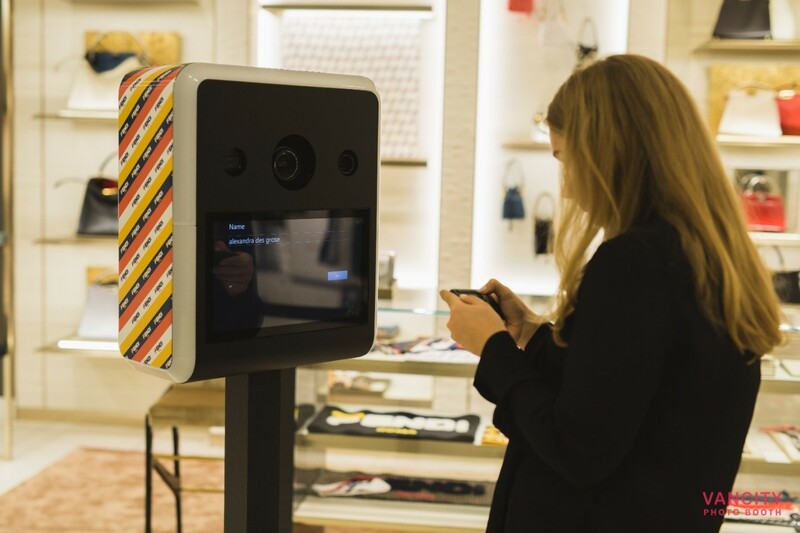 Not only did it make the entire experience interactive for the guests, but FENDI was able to walk away with valuable data such as customer capture, social media content, photo’s and of course increased sales. The next time you’re thinking of ways to spruce up your activation, think about getting a photo booth for the best overall experience.